Alcove - Glen Allan Pillars Inc. In the same way that you are unique as a person, we believe that all backyards are unique as well. 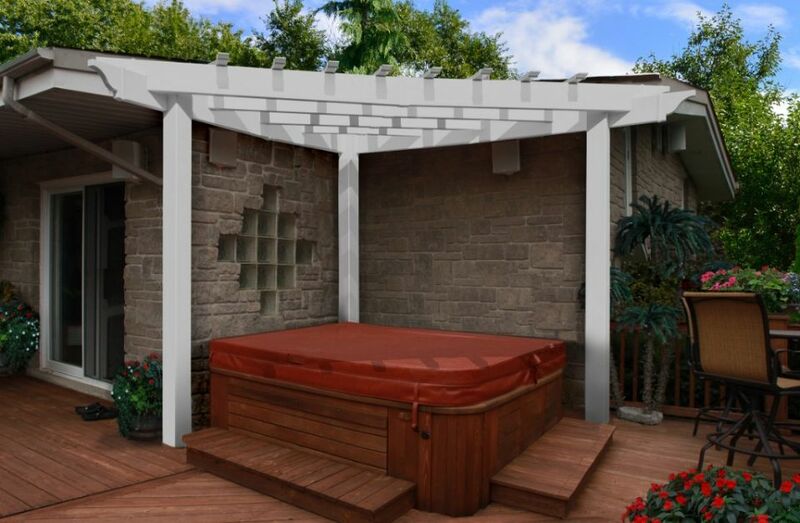 The Alcove pergola is designed to reflect that. 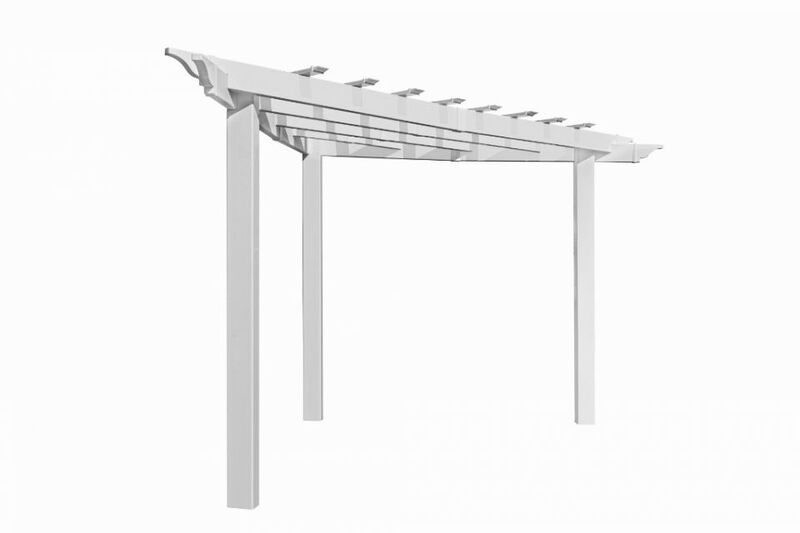 The Alcove pergola provides shade and space in the places that you need it most, but haven't been able to install a traditional square pergola. Excellent for smaller corners and nooks where you can enjoy breakfast at sunrise and a refreshing beverage at sunset. Recommended especially for chaisse lounges! The Alcove measures 8'X8'X11.3' and is over 8' high! We manufacture all of our products to create the look of wood without the traditional maintenance. In other words, you get the classic look of wood without the headaches. 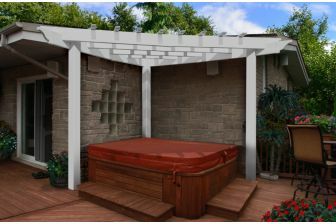 Just the occasional rinse with a garden hose is all you need to do to keep your pergola looking great year after year. Best of all, the Alcove is covered by a 20 year warranty. It won't crack, warp, rot or turn yellow in the sun...for two decades!